This week I was sent some new discount beauty launches that are going into Tofs stores as of last Friday. 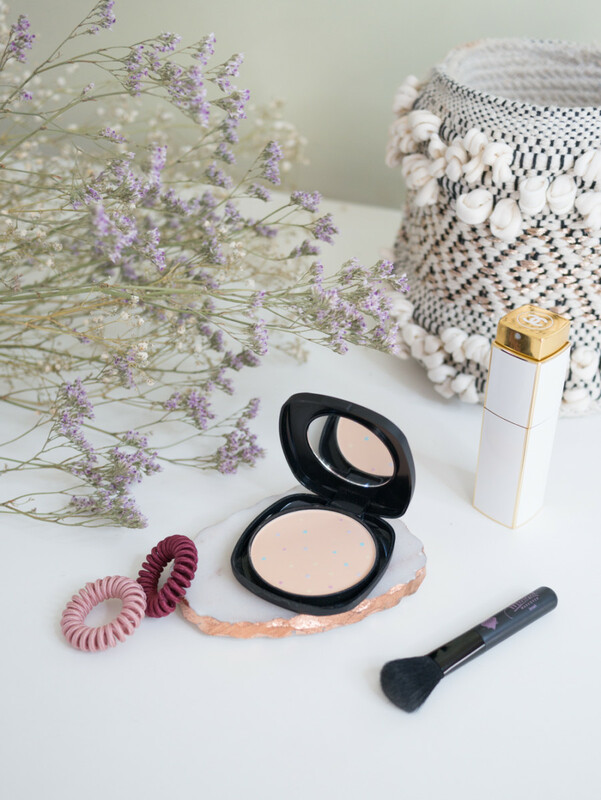 They offer 70% off big brands like Rimmel, OPI, Elizabeth Arden and Clarins but today I’m going to show you a few pieces from DMM makeup that are really pretty. The first thing is the Mineral Makeup compact. 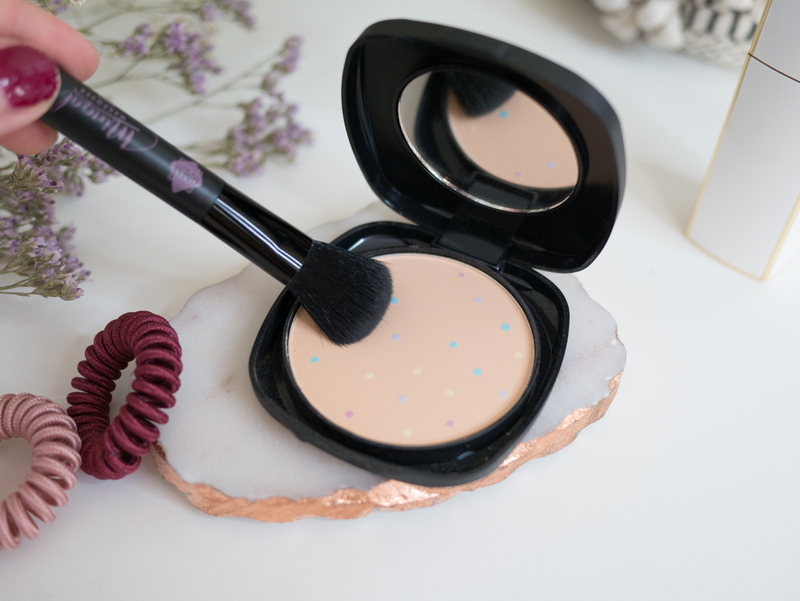 It’s a light, pressed powder that evens out your skin tone and provides light to mid coverage. As it incorporates colour correcting shades including mint for redness and lavender to brighten your skin it’s a really nice way of freshening up and mattifying your face during the day. This compact is £5 so it’s totally affordable and great if you want something to just throw in your handbag for touch ups. 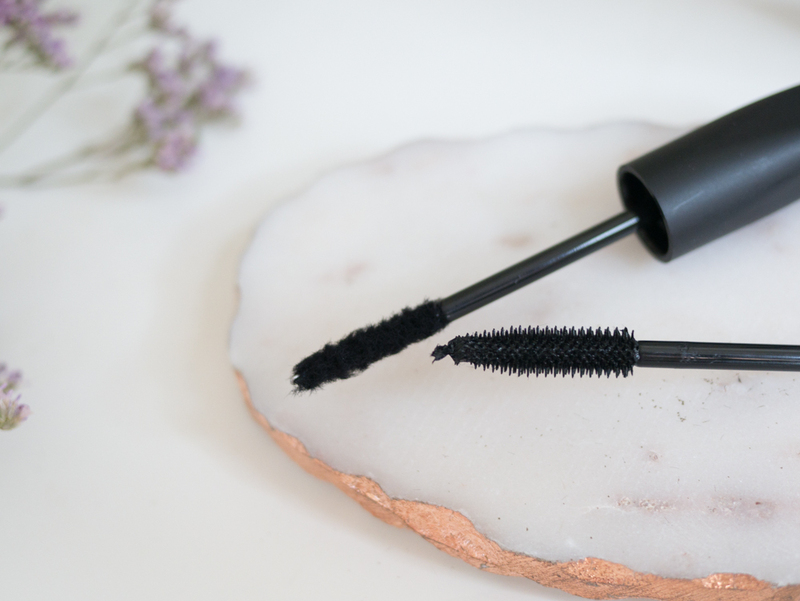 Next I tried out the 3D Fibre Lashes duo which isn’t like any other mascara I’ve ever seen. 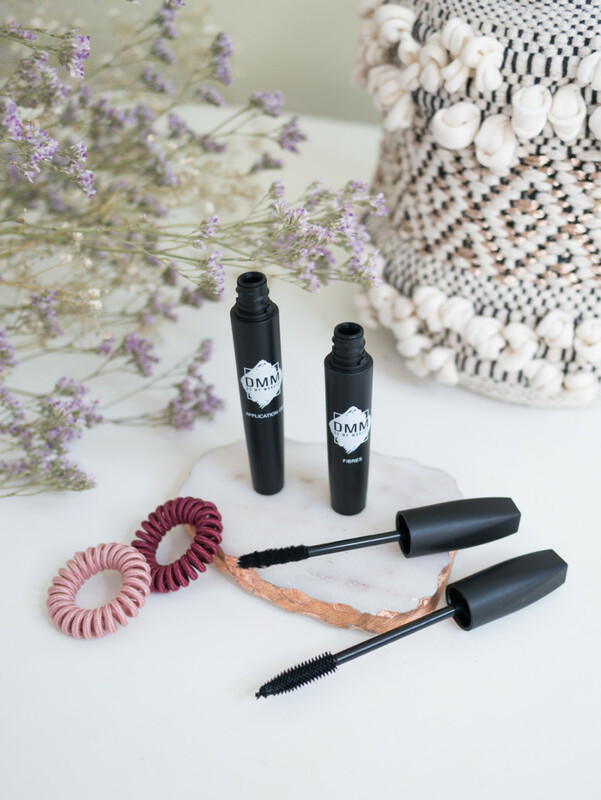 You basically apply the gel formula first and then take the fibres (fluffy wand) and apply them over the top so that they stick to your lashes. The result is really soft and fluttery and I found that the gel really helped to separate my lashes to avoid any clumps. I’ve popped a little before and after below and I think they gave me loads of lift and separation which is what I normally look for in a mascara. Lastly I tried the HD Fibre Brows powder which is also £5. When I first opened it I was surprised that it had a doe foot applicator but I think that’s just to help you pack on the fibres. They literally look like little brown hairs and have the most insane staying power that gives you a really natural finish. Again I’ve put a little before and after below just using the HD Fibre Brows. I think it would look even better if I went in again with a pencil and neatened up the edges but it’s totally up to you what look you go for. You can see how natural and soft the finish is though and it’s really good for the price! If you want to test out any of these or just pick up some discount makeup then click here to find your nearest Tofs store.